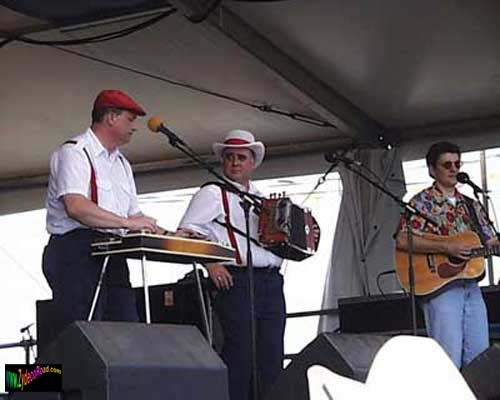 The Jambalaya Cajun Band has been started up in 1977 by fiddler Terry Huval, his brother Tony (who's drummer) and some other musicians from around Breaux Bridge. These musicians are accordionist Reggie Matte, who sings along with Terry Huval, guitar player Bobby Dumatrait, bass player Rick Benoit and bass & fiddle player Ken David. They play a lot of great self-made cajun songs. Their style, which is somewhere in between traditional and modern cajun music, is a reflection of their appreciation for the cajun pioneers, in combination with their creativity. 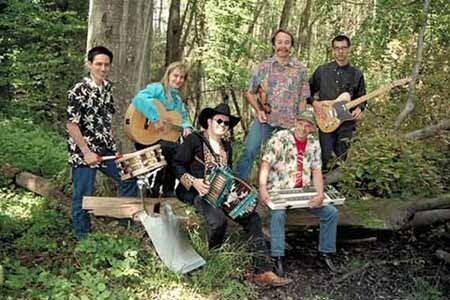 Allez voir le Jambalaya Cajun Band! C'est fun!!! Boudreaux and Thibodeaux were once again at the City Bar, and after several hours of steady drinking, Thibodeaux suddenly fell backwards off of the bar stool. He was laying on the floor, didn't move or speak anymore... Boudreaux looks at Thib, looks up at the bartender, and remarks, "Dat's what I like about Thibodeaux. He knows when he done had enough to drink." 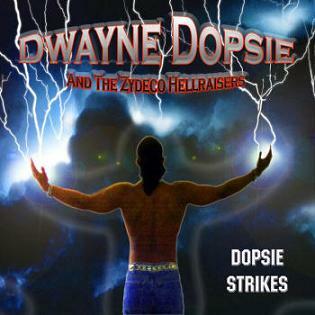 “Dopsie Strikes” is the name of the latest cd from Dwayne Dopsie and the Zydeco Hellraisers. Dwayne Dopsie is the youngest son of the late Zydeco-legend, Rockin’ Dopsie. On this cd, again, he strikes with very energetic Zydeco with a rockin’ beat and some Zydeco-blues. Dwayne wrote all of the 10 songs himself! The cd is recorded live and gives exactly the atmosphere from a hot Zydeco-festival. Surely a must for everyone who likes modern Zydeco. Our great friend has turned 66 today. At the age of 13, this Cajun man already played guitar with the Scott Playboys. At age 15 Johnnie played steel guitar with Lawrence Walker and in 1958 he formed the Krazy Kats. He made a lot of hits on Jin records and even had a golden record with his great version of Chuck Berry’s “Promised Land” (with accordion solo’s). He’s always been a very busy man and in 1996 Johnnie Allan did another great cd on Jin records, which clearly shows all the styles of music he’s been doing in his wonderful career, such as Swamp Pop, Cajun, Rock’n’Roll, Country, Blues and Zydeco. Happy birthday, Johnnie! Lache pas la patate! June Carter Cash took the "Best Traditional Folk Album"-award with "Wildwood Flower"in Los Angeles, the 8th February. Unfortunately that also means bad luck for Steve Riley & the Mamou Playboys … Congratulations for the nomination anyway, which already is a big succes! Today it's Antoine "Fats" Domino's birthday! The boogie woogie piano rocker has 76 candles to blow. With his own style of boogie woogie, rhythm 'n' blues and rock'n'roll, the Fat Man created a very typical New Orleans style. His singing style and his typical "swampy rhythm" are pretty much dominating in the Swamp Pop music. I guess you all know he made a big number of big hits… The living legend still lives in New Orleans with his wife Rosemary, with whom he has had 8 children. Today it's also the day to remember the birthday of the legendary Johnny Cash… R.I.P., man in black! A (modern) Cajun (& Zydeco) band, fronted by an accordionist with a hat and a Teddy Boy-drape jacket on... Well, being a big fan of Cajun, Rockabilly, 50’s Rock’n’Roll, Hillbilly, Bluegrass, etc., this looks like a fine combination to me. But much more important, the music they play sounds really good! Marc & the Boiled Crawfish, made in Switzerland, were formed in 1999. 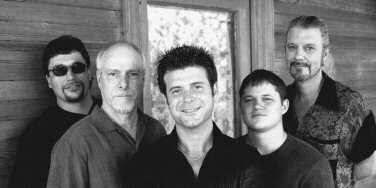 Taking their inspiration from bands like Steve Riley & the Mamou Playboys, Iry LeJeune, Balfa Toujours and Geno Delafose, these musicians decided to form this band. At the age of 12, Austin already was playing accordion and fiddle. By the age of 20, he started his own band called Austin Pitre and the Evangeline Playboys. I highly recommend the cd “D.L. Menard/Austin Pitre: The Swallow Recordings” on Ace Records (which includes 2 records on 1 cd; one from Badeaux & the Louisiana Aces incl. D.L. Menard and one from Austin Pitre & the Evangeline Playboys) and “Opelousas Waltz” on Arhoolie with recordings from 1971. 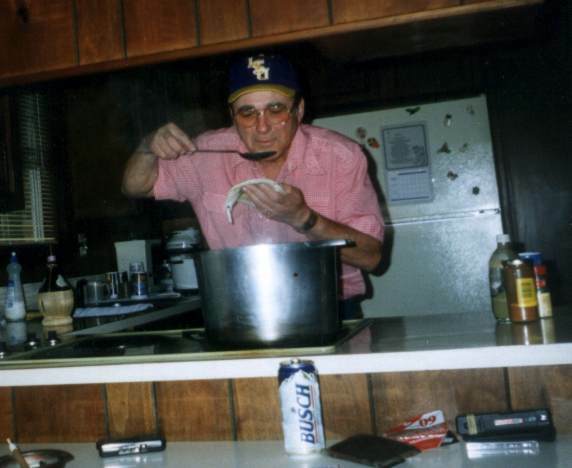 On April 8, 1981, this legendary cajun died at his home in Elton, Louisiana. Boudreaux walks into a bar and orders three beers. The bartender raises his eyebrows, but serves Boudreaux three beers, which Boudreaux drinks quietly at a table, alone. An hour later, Boudreaux has finished the three beers and orders three more. This happens yet again. The next evening at the bar, Boudreaux again orders and drinks three beers at a time, several times. This happens for several nights. Soon, the people up and down the bayou are whispering about Boudreaux going to the bar and always drinking three beers at a time. 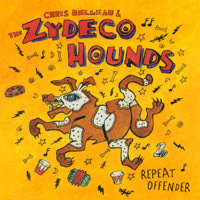 Multi-instrumentalist & singer Chris Belleau started up the Zydeco Hounds in the early 90’s. This New Orleans-based singer also plays the accordion, trombone, harmonica, rubboard and piano. The other Zydeco Hounds are also very experienced musicians, including Joe Osborn on bass. In 1997 they came out with a first cd, called “Shake It, Don’t Break It”.